Users who opt to update their iPhone overnight have discovered that doing so will turn off any alarms they may have set, potentially causing issues waking up the next morning. 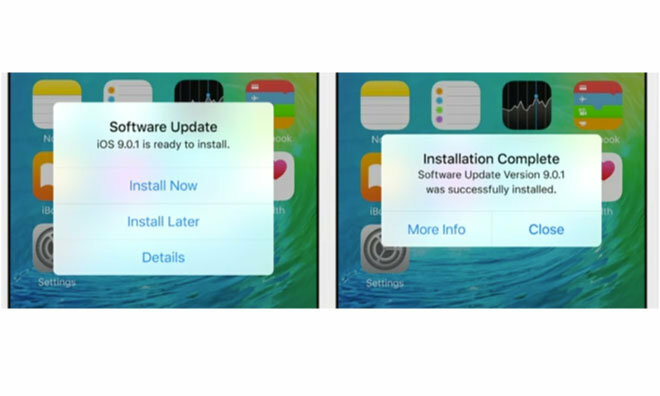 Readers who reached out to AppleInsider indicated that last week's iOS 9.1 update has brought the issue to light. Overnight updates are available starting with iOS 9.0. One reader, Gary, said he knows three people who used the new overnight update feature and slept in later than expected because their alarms were unexpectedly disabled. Others have also taken to Twitter and elsewhere to express their frustration that alarms were disabled as part of the iOS overnight update process. The iOS 9.0.1 update issued last month did fix some issues associated with alarms, but did not address the overnight update bug that remains in iOS 9.1. Apple has faced alarm clock and time-related bugs before, most notably in 2010 when an issue caused alarms to go off an hour late for users in Europe.